Helping create “Full Circle" environmentally sustainable communities through organic materials recycling, all-natural soil fertility, “beyond organic” food production, and education. Powered by Full Circle Soils & Compost. Hey you composting fanatics. Check this out! 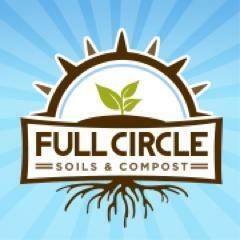 Full Circle Soils & Compost is composting the green waste from the University of Nevada, Reno. Full Circle collects the green waste, turns it for 10 weeks in our aerobic composting process, breaks it down into awesome humus based compost, and then offers this amazing growing media to Nevada gardeners and growers. The University of Nevada brings custom compost back up to the campus and uses it all over the landscape to grow healthy and luscious grass, shrubs, flowers, and trees while cutting down on chemical fertilizers! Now that is “FULL CIRCLE”!! UNR Landscape Container Before and After Results Using Full Circle KICK Garden Soil…WOAH! 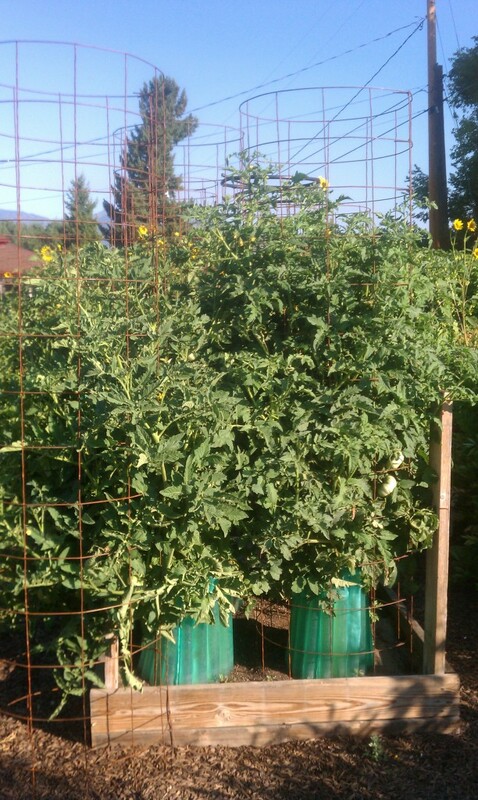 Is it possible to get 300 lbs of tomatoes off 4 plants in one 4ft x 4ft raised bed? 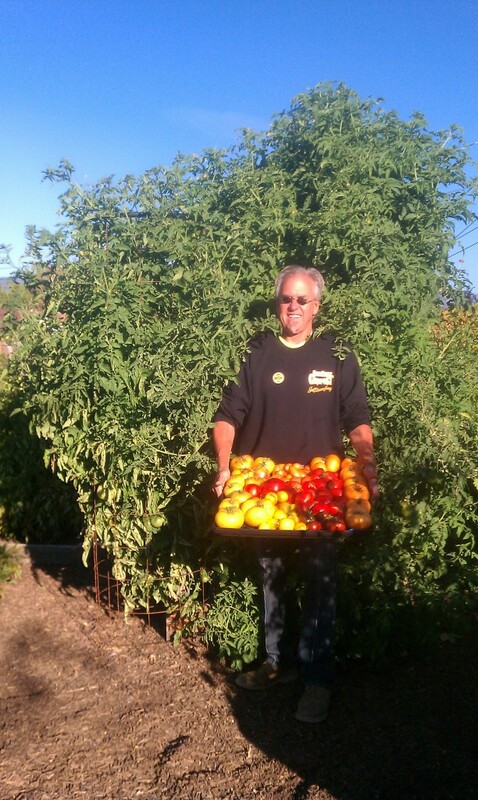 Is it possible to grow huge tomatoes in Nevada? Totally doable! Even if you’re not a seasoned green thumb. Even if you DON’T have a greenhouse. Build a 4ftx4ft raised bed 12 inches deep. Use any scrap wood you have. As long as it stays together, you’re good to go. Fill that bed with 8 inches of Full Circle’s KICK Garden Soil (leave room for drenching with water). 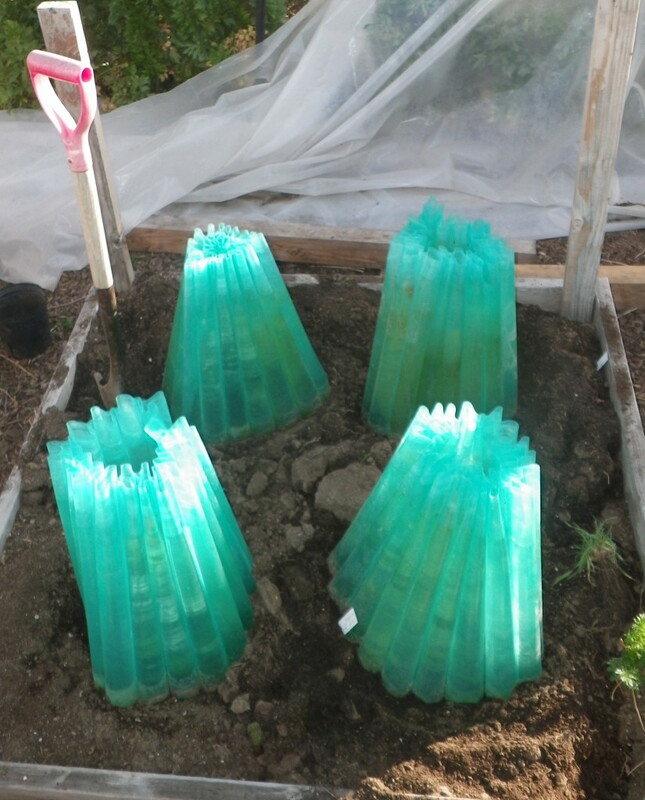 Cover soil with 1 inch of PROTECT to hold water and keep the soil happy. Fill that bed with 2-3 inches of water for a full soak only once every 3-4 days (“flood style” because KICK and PROTECT will hold water awesomely). BOOST with 1/4 inch of Full Circle’s BOOST twice during the growing season (about every 6-8 weeks). Even though KICK has enough nutrients to grow awesome for an entire growing season, you’re growing 4 hungry (and BIG) tomatoe plants, and they’re going to love eating up nutrients. So, replenish with BOOST. That’s it! Now you’re set to grow huge tomatoes in Nevada (and anywhere really). The Best Herbs And Vegetables To Plant Together! It’s no secret, spending time with friends is good for you! But did you know that plants have friends too? Placing compatible plants next to each other allows them to benefit the company. This strategy, known as companion planting, helps deter pests, increase the yield of your veggies and improve flavor. So garden with future meals in mind! Here is a list of plants that prefer to be neighbors in the garden and at your table. Tomato & Basil: Tomatoes have lots of friends in the garden, but they are best buds with Basil. The aroma from Basil deters insects from noshing on precious tomato fruit. Basil is also known to improve the flavor of the tomatoes because of shared soil nutrients. Tomato and basil … a timeless culinary combo. Sage & Bush Beans: Similar to the basil and tomato relationship, sage protects bush beans from hungry critters. Parasites detest the smell of sage, which protects bean plants. 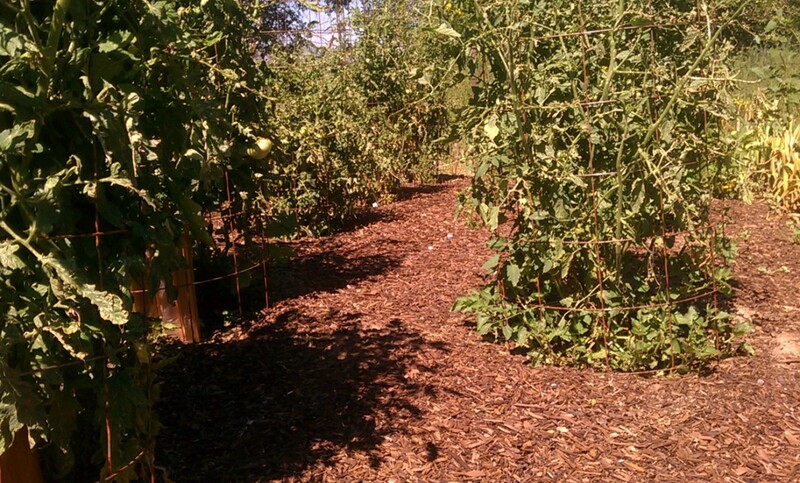 Bush Beans also grow well with cucumbers, eggplants, garlic, kale and strawberries. Careful! Three’s a crowd if you plant cucumbers too, as sage and cucumber do NOT get along. Parsley & Asparagus: Planting parsley alongside asparagus will stimulate the asparagus plant’s growth. Parsley also keeps Asparagus beetles at bay. So what’s in it for Parsley? It just so happens that Parsley likes partial shade, so these two get along quite well! Strawberries & Thyme: Thyme helps strawberries thrive while also attracting pollinators to your garden. These two also have a common friend in spinach. Throw them all together and you’ve got a classic combo for salads and other fresh dishes. These Plants Are Friends With Everybody! Marigolds: Your whole garden will benefit from Marigolds! Plant these fragrant beauties throughout your garden to confuse pests as they search for their favorite fruits and veggies. Marigolds can be eaten too! Add dried petals to soups, salads or even brew it as a tea! Garlic: Garlic isn’t just for warding off vampires, it deters aphids and beetles too! These pests are not a fan of garlic’s strong smell, and who doesn’t want a little fresh garlic for their dishes? Chamomile: Like thyme, chamomile attracts pollinators like hoverflies and wasps. Planting chamomile next to other herbs can also enhance their flavor. Way to go, chamomile! Reno-Tahoe businesses send a LOT of perfectly compostable stuff to landfills. In some cases, up to 35% of solid waste is organic material–everything from restaurant food scraps to yard trimmings–which could be recycled through composting. We’re here to help your business, institution or organization benefit by doing just that. Does My Business Produce Green Waste? Probably! The rule of our large-scale green thumb is this: if stuff is made out of something that used to be alive, we can probably take it and transform it into rich, ultra-productive compost. Sound like a lot to sift through? Not for us! We’ve been doing it every day for over 20 years! 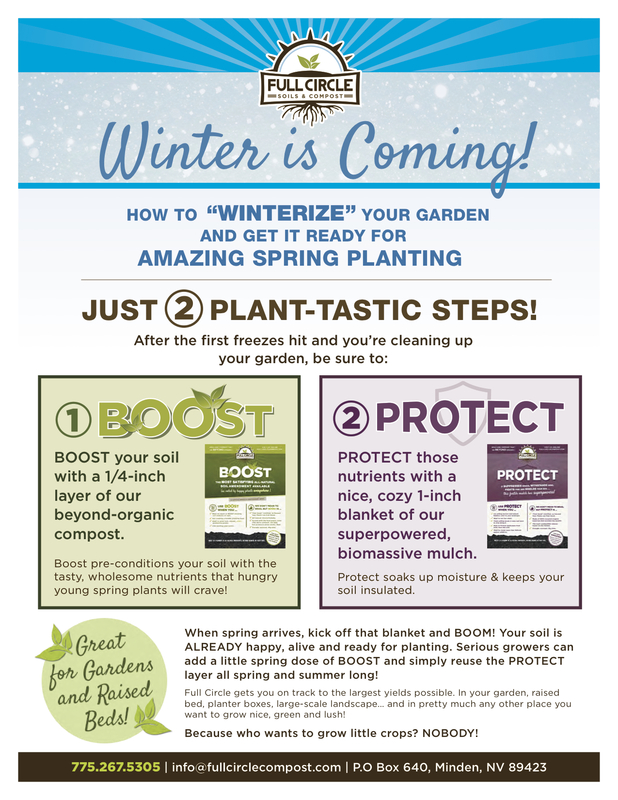 Thanks to Full Circle, it’s easy to winterize your garden while ALSO getting it ready for some AMAZING spring planting! We’re talking maximum growth next season. See below or click RIGHT HERE for our easy-to-read, highly printable, totally shareable, eventually recyclable (even compostable) version of our one-page how-to flyer! Full Circle Soils & Compost Tips To Winterize Your Garden, Landscape and Yard! Part 1 of How to Xeriscape your yard to be drought tolerant with beautiful, edible landscape. Do you want your yard to turn heads, make your neighbors jealous, be the most beautiful on the block, and increase the value of your home? Do you want this while also being drought tolerant, full of nutrition, and supporting plants that love Nevada (just like we do)? Well we have your solution: Xeriscape Nevada with Full Circle Soils & Compost and the River School Farm. What is Xeriscape: a landscaping method developed especially for arid and semiarid climates that utilizes water-conserving techniques (as the use of drought-tolerant plants, mulch, and efficient irrigation. Courtesy of the word experts at Merriam-Webster). So what’s the plan? 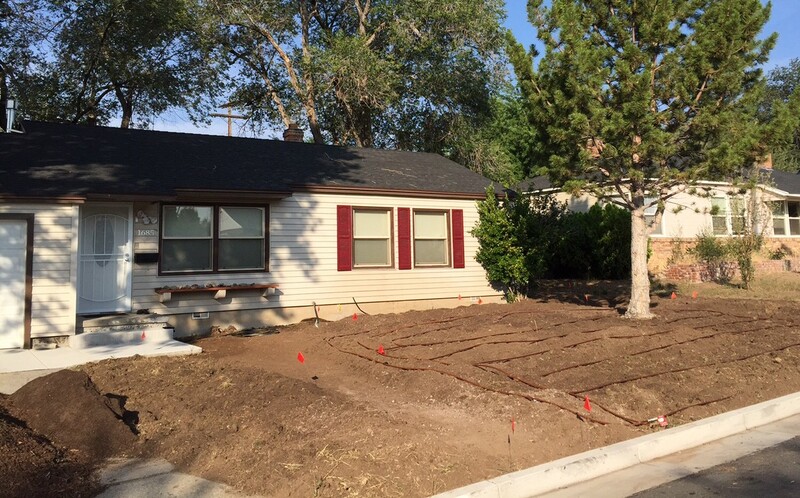 Our good friends at the River School Farm mapped out a whole plan with a list of Xeriscape ready plants to revitalize this front yard of a rental house in Reno. As you can see, the yard has seen better days…TO SEE THE PICTURES, THE PLANT LIST, AND CONTINUE READING PLEASE CLICK HERE. Using Mulch To Beat The Heat and Fight Drought! First, let’s talk about water retention. Simply put, it refers to how much moisture stays in something versus how much either gets zapped up by Mean Ol’ Mister Sun or trickles off to some other spot….